BAE Systems has introduced iMOTR™, an innovative, mobile multiple-object tracking radar (MOTR), which uses commercial-off-the-shelf (COTS) solutions to provide military test and evaluation ranges a higher degree of accuracy in tracking time, space, and position information (TSPI) for objects in flight. The solution was unveiled at the annual Space and Missile Defense Symposium in Huntsville, Alabama. BAE Systems developed the iMOTR solution over the past two years using the company’s internal research and development funding. 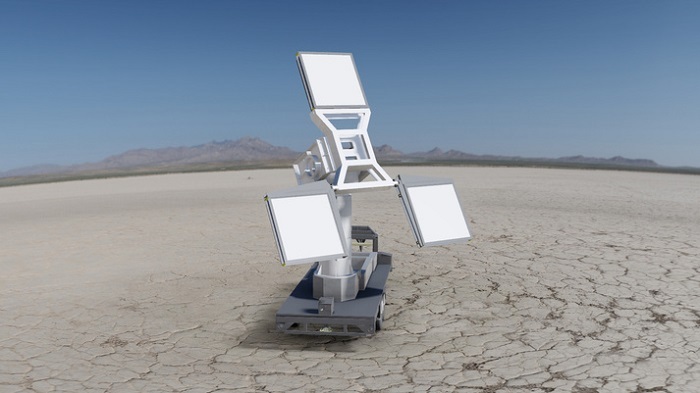 The project focuses on leveraging existing in-house radar designs matched with COTS components - including those improving gallium nitrate, radio frequency, and analog-to-digital technologies - to design a highly capable, yet affordable multiple-object tracking radar. The design of iMOTR has leveraged industry advances in performance, availability, and affordability for both hardware and software. It will deliver a multiple-object tracking radar solution best matched to meet the ever increasing demands of test and evaluation ranges worldwide. The iMOTR solution is inexpensive compared to the legacy multiple-object tracking radar systems currently in use on test ranges. Yet, it delivers the enhanced radar performance capabilities necessary to meet today’s test range requirements and will also reduce test range operation and sustainment costs. The iMOTR is mounted on a commercial trailer optimized for enhanced mobility. It is also ruggedized and weather-proof to resist shock, dust, sand, humidity, and rain to improve performance and sustainability.